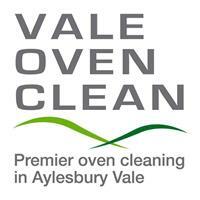 Vale Oven Clean - Cleaning Services based in Aylesbury, Buckinghamshire. Invoice history based on 612 reviews. My name is Iain O'Hara, a local Aylesbury based oven cleaning & oven valeting specialist. It will be my responsibility to restore your cooking appliances to near showroom condition. I have been fully trained and have established a successful high quality service. Please take a moment to read some of my client's Testimonials. My professional oven valeting service covers all of The Aylesbury Vale and surrounding areas. I carry comprehensive insurance cover to ensure your total peace of mind. I use an exclusive range of specific products to carry out my work. These cleaning products are guaranteed to be bio-degradable, non-toxic & totally free from caustic soda and therefore completely safe for you, your oven and your family. My degreasing solutions are water-based and I operate totally within the Environment Agency guidelines. I carry a range of replacement bulbs and extractor filters. Payment can be made by cash or electronic transfer. Aylesbury Vale & surrounding towns/villages.